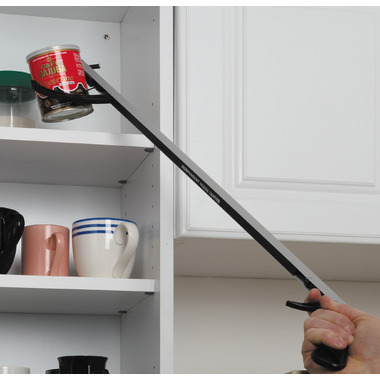 With an aluminum frame this reacher helps to eliminate bending and stretching. Only 7 oz of pressure required at trigger to close jaws. I bought this as a gift and it's amazing! Works exactly as is describes. Love it! This tool is so handy and functional. It is fine enough to pick a pea off the floor and strong enough to take down a can from the top shelf. Couldn't do without it now!